Décor is our collection of American made, authentic movie theater elements that complete and enhance the home cinema visual experience. These are the products used in real movie theaters. 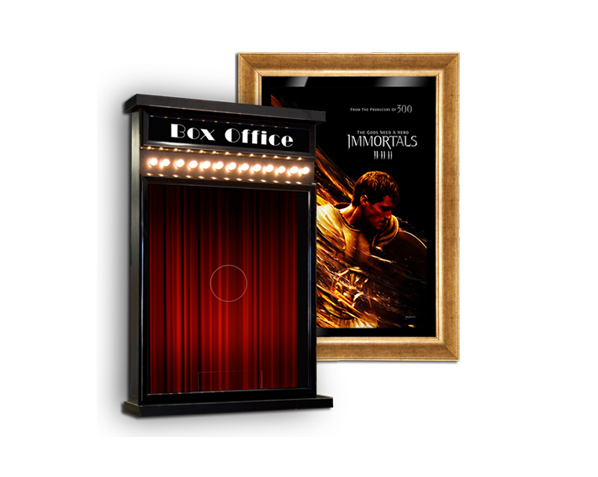 Poster frames, poster marquees, and poster cases showcase your favorite movie poster art. Put up an authentic cinema sign and identify your theater entrance or show off your concession menu. Add ambience with a ticket booth, a concession stand, or a candy showcase. Light up your theater interior with elegant or themed wall sconces. Add flair with our pop décor or collectable wall art. Bring some Hollywood into your home.